Nikon will soon release their long awaited 360 camera, the Nikon Keymission 360. The camera is available for pre-order right now on Amazon and will be shipped on the 26th of October (or on the 6th of November if you use Amazon UK). This is the first 360 camera to be produced by a large camera company and they don’t come much larger than Nikon. 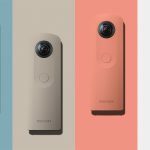 There is a high degree of anticipation that this will be one of the best 360 cameras to be released this year, but what do we know so far? The Nikon Keymission 360 specs have already been released and they are looking pretty good. The camera will shoot in 4K at 24 fps which is a high enough resolution to ensure a clear image. Photos are shot at nearly 30 megapixels; again this will result in crisp 360 photos if other cameras with similar specs are anything to go by. 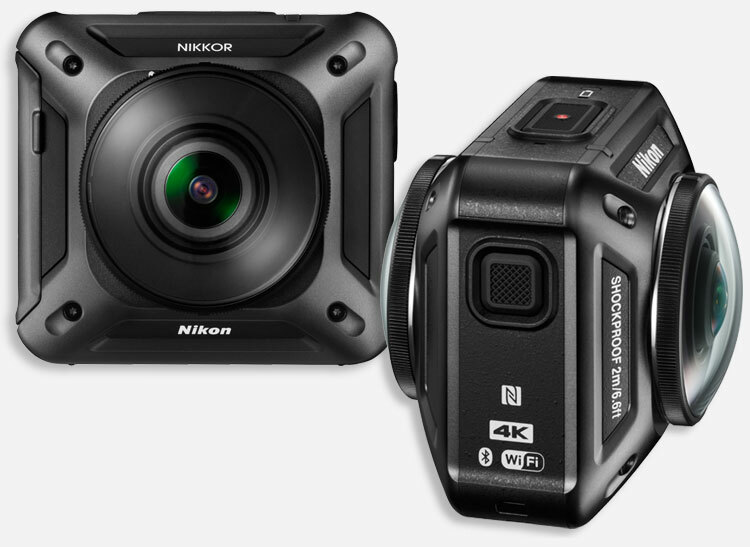 What really makes the Nikon Keymission 360 stand out is it’s action camera credentials. In fact the Keymission is the first ever true 360 action cam, meaning its designed to be taken outside, attached to all manner of accessories and can even go underwater. It’s Nikon’s answer to GoPro which still hasn’t managed to create a stand alone 360 camera of their own yet. Remember to watch in 4K to get the HD experience. these example videos look pretty damn good if you ask me. Te images and clear, sharp and colourful. You can see the image stabilization working at there is little vibration and jerkiness, something that other 360 cameras suffer from. As previously stated the Nikon Keymission 360 will be waterproof up to a depth of 30 metres, it will also be dust proof and shock proof. Unlike a GoPro, the Keymission is waterproof out of the box and does not require any extra housing. Example videos have shown people using the Keymission 360 while surfing, swimming, skateboarding, climbing and cycling. This is a unique selling point of the camera because other 360 cameras are simply too fragile to do any of these activities. The Nikon Keymission 360 is priced at $496.95 in the US and £419 in the UK. This makes it about $150 more expensive than the Samsung Gear 360, but for this you are getting a fully fledged action cam as well as a 360 degree camera. If you pre-order the camera now you’ll also get a free accessory pack that usually costs an extra $150. In this accessory pack you’ll find an extra battery, a tripod, an extension arm, a protective carry case.